There's never a dull moment in the life of Lando Norris. 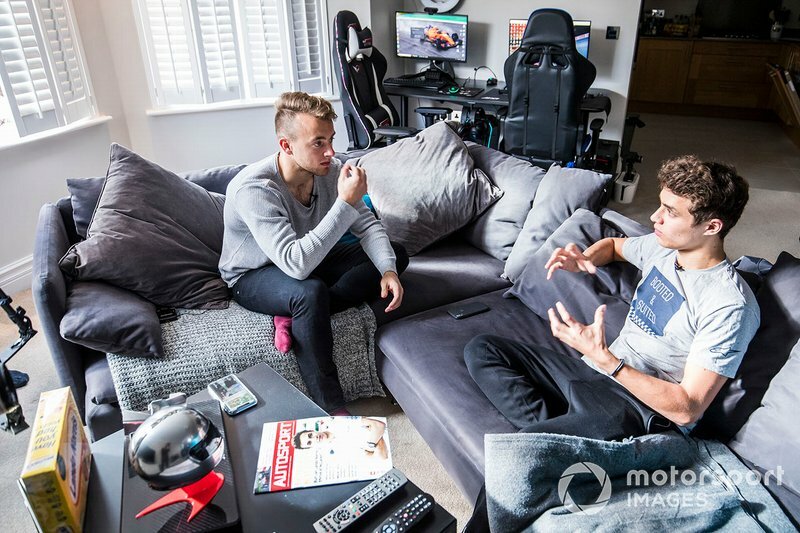 Raised in Glastonbury near Bristol, Norris shot to fame earlier this year when it was announced that he would join McLaren for the 2019 F1 season, having just turned 19. 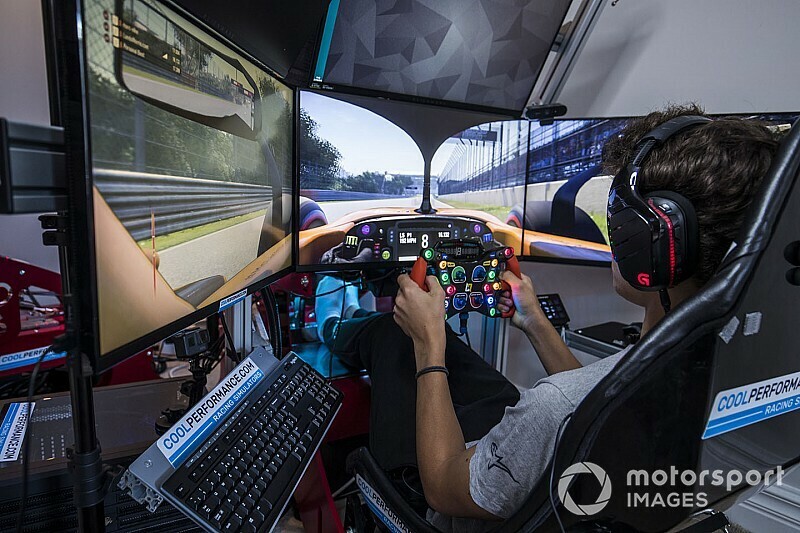 "On the sim at home, you can change downforce levels, roll bars, springs, ride heights - you can try all these different things. 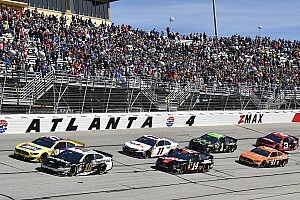 "On the RFactor model that comes with the Pro-Sim, everything is balanced and measured. 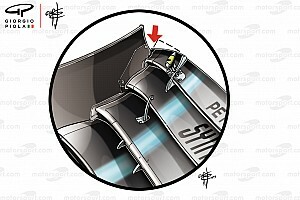 If you go up on the rear ride height, for example, it changes the airflow and the downforce of the car. 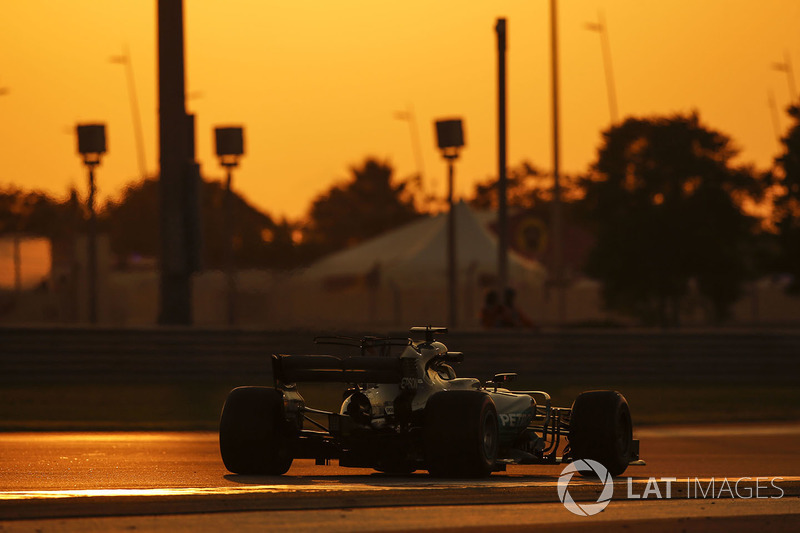 You learn by trying different things, which gives you a better idea when you're on a race weekend." Sometimes it's not as much about pumping in benchmark laps as competing against Carlin F2 teammate Sergio Sette Camara. 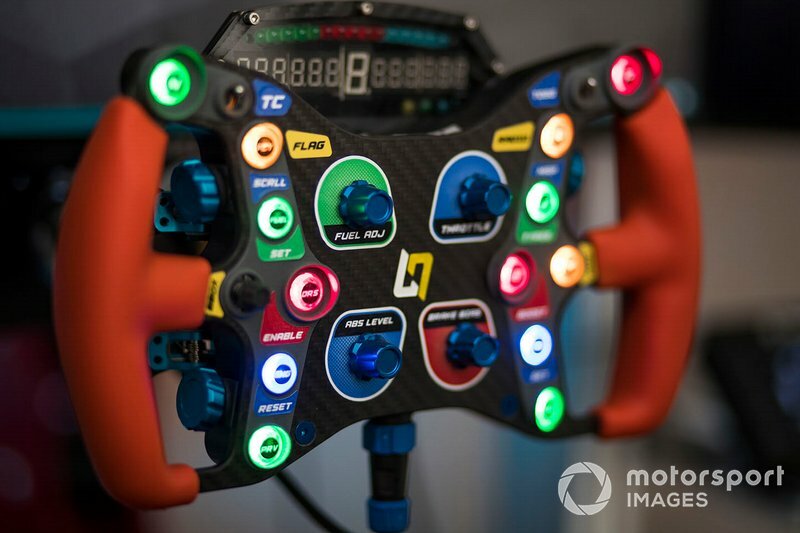 Both Norris and incoming McLaren junior Sette Camara can record data on their home sims and send it in to Quaife-Hobbs - himself a former McLaren GT factory driver - to process. 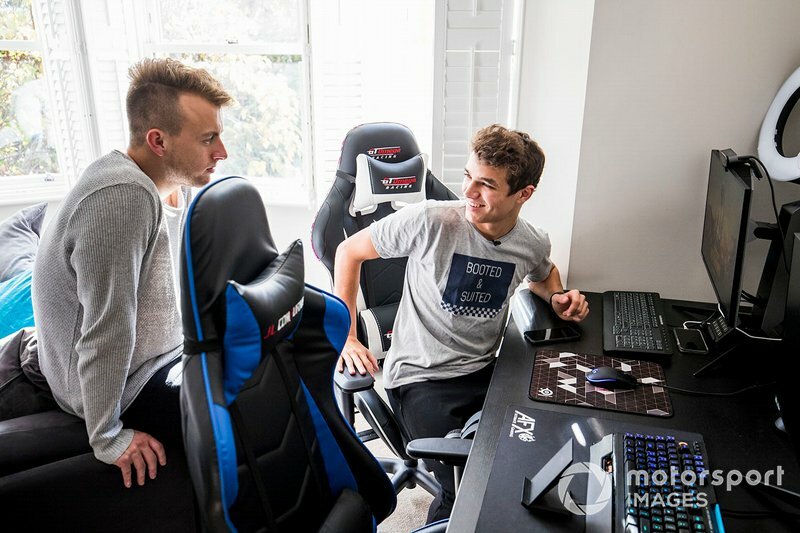 "We race each other on the sim, which is fun, and we can relate to each other. It's not like I have a room-mate who doesn't have a clue about what I'm doing. It has its perks and it has its downsides - altogether he's a cool guy and I enjoy sharing the place with him." This raises a pertinent question. 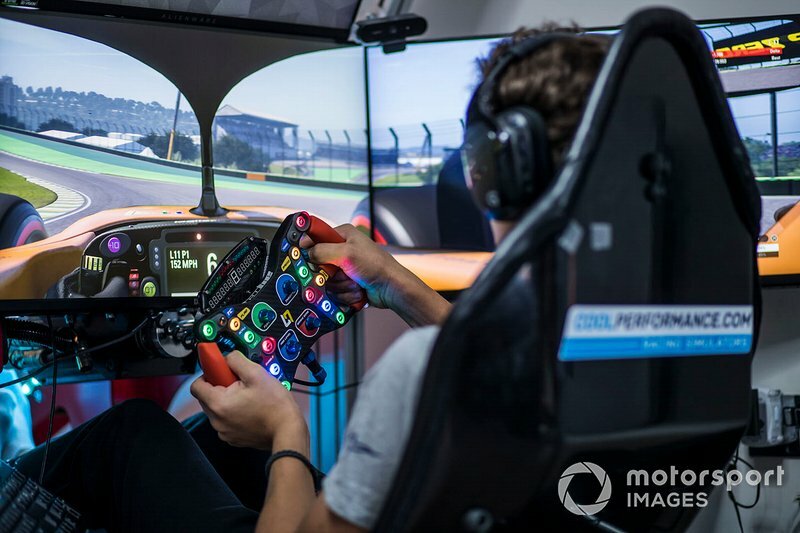 With the amount of time the new generation of drivers spend on the sim, are they mature enough to cope with being beaten by a teammate, deal with an underperforming car, entertain team sponsors and keep their head when thrust into the global media spotlight? He knows it will be tough, but he's done all the preparation possible. 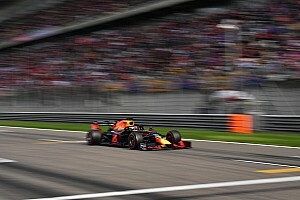 Now it's time to see it all come together in F1, and whether it will be enough to beat a teammate of Carlos Sainz's calibre. All that's left is to try out Norris's sim. 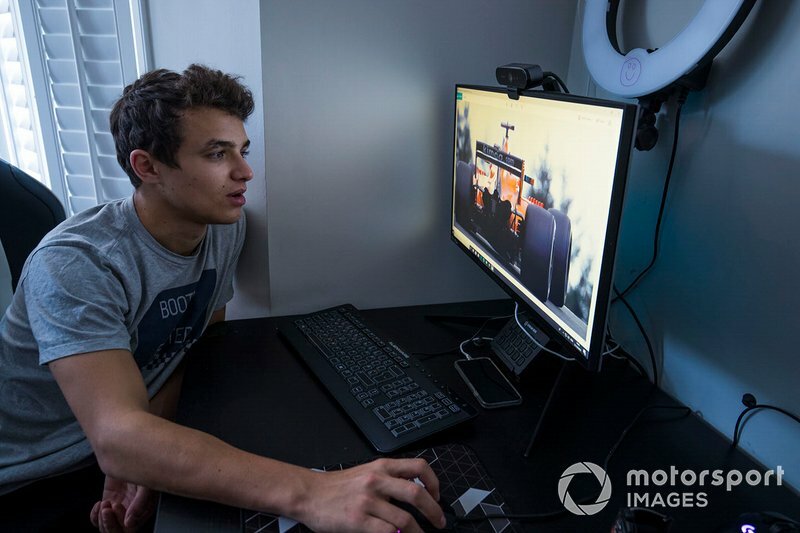 For a young man with the world in his sights, Lando Norris remains remarkably grounded. 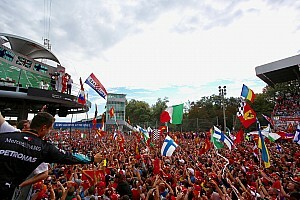 Within days of his McLaren deal being announced, he was off to the Nurburgring with Carlin to coach flat-mate Sacha Fenestraz and his FIA F3 European Championship teammates Jehan Daruvala, Ferdinand Habsburg, Nikita Troitskiy and Ameya Vaidyanathan around the circuit where the year before he had claimed pole by a staggering nine tenths in the wet.